Resa raced up the stairs to homeroom. She hated waiting almost as much as she hated losing. So she leaped up the steps two at a time, burst through the door, and crashed into the shoulder of someone who wasn’t moving at warp speed. Brian Weisfeld has been building businesses his entire life. In elementary school, he bought 95 pounds of gummy bears and hired his friends to sell them. As a teen, he made and sold mixtapes (ask your parents what those are), sorted baseball cards (he got paid in cards), babysat four days a week after school, and sold nuts and dried fruit (and more gummy bears) in a neighborhood store. As an adult, Brian helped build a number of well-known billion-dollar companies including IMAX Corporation and Coupons. 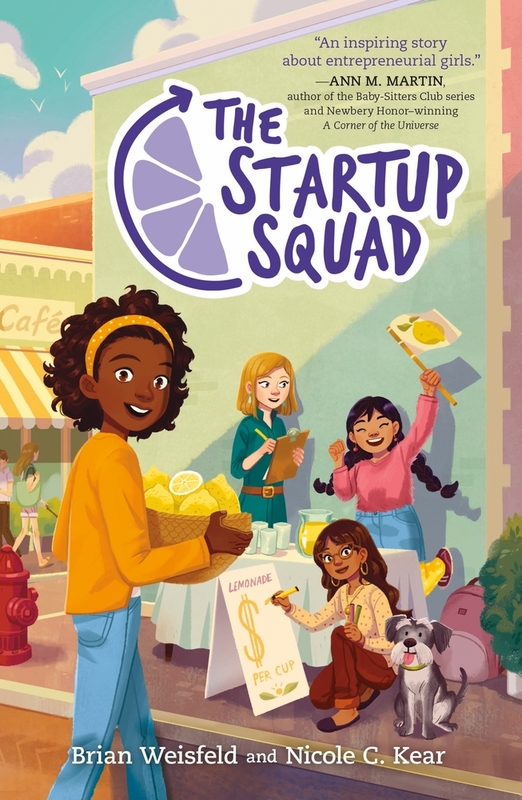 Brian is the Founder and Chief Squad Officer of The Startup Squad, an initiative dedicated to helping girls reach their potential, whatever their passions. Brian lives in Silicon Valley and can often be found eating gummy bears with his wife while watching his two daughters sell lemonade from the end of their driveway. Visit Brian's website to email him directly and sign up for his newsletter. Visit and learn more about Brian on Facebook or on Twitter. You can also learn more about The Startup Squad on Facebook, Twitter, Instagram, Pinterest, and more! Nicole C. Kear grew up in New York City, where she still lives, with her husband, three firecracker kids and a ridiculously fluffy hamster. She's written lots of essays and a memoir, Now I See You, for grownups, and The Fix-It Friends series for kids. She has a bunch of fancy, boring diplomas, and one red clown nose from circus school. Seriously.